SMi reports: Antimicrobial resistance was predicted by Alexander Fleming in his Nobel lecture (1945). Since that warning, measures have been taken in acknowledgement of the threat of AMR, but tackling this issue is still an ongoing battle. On the global scale WHO has been the most instrumental body to take action. 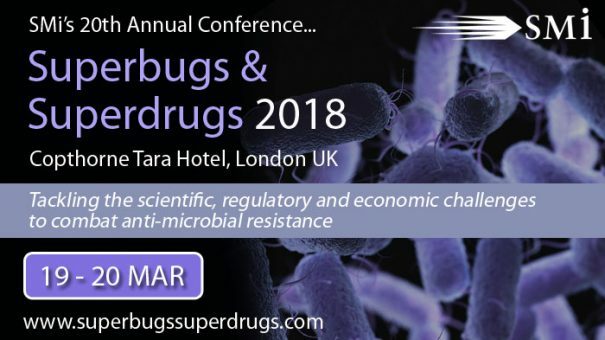 SMi Group is proud to be part of the fight with the Superbugs & Superdrugs Conference. Now in its 20th year, the event has firmly become established as the industry’s premier platform for updates on antimicrobial resistance research, funding and incentives. Superbugs & Superdrugs Team look forward to welcoming you next week to what is shaping up to be another successful show!